In a kind of an annexe to my last week’s column, Small Nail, Big Hammer, what really ails the corporate kind of film business, production, distribution as well as exhibition? To start with it is about the kind of the business one is practising. The films were sold circuit wise and exploited by individuals who had not only invested in acquiring distribution rights but knew their respective circuit like the back of their hand; knew each cinema hall management on personal level with regular interaction. Compared to just about half a dozen or so film distribution outlets now, there used to be scores per circuit specialising in different kind of films. The promotion of a film was done on a personal level to cater to and appeal to every kind of movie buff. The cinema halls were booked considering the film’s appeal in mind. For these film folk, their life, passion and, mainly, the livelihood was film business. These lot were dedicated to one and only, film business. Take for example the films releasing today, all of five new films hitting the screens, Helicopter Eela, Fryday, Tumbadd, Jalebi and Maal Road Dilli,come bang in the midst of the Navratri festival! No traditional film distributor in his right mind would have risked such a release plan! You wipe out the business potential of all of Western and Hindi belt India; film watching is the last priority during festivals of Navratri and Ganesh Utsav. Compare this to the scene today; how the film business is run and who runs it. A person who sold biscuits or toothpaste yesterday, now decides a film’s release! Film marketing is another ball game all together, not akin to selling consumer products. Those even Baba Ramdev can manage and he is not known to be a management school alumni. I can give the best example on this count. One fine day, a corporate honcho decided that Amitabh Bachchan was a ‘Brand’ and carried Brand Equity. Convinced, Mr Bachchan launched Amitabh Bachchan Corporation Limited as a public entity. The man behind the move was the well-known banker, UdayKotak. When asked about the potential of the company, his answer was that his job was to launch it, how to run it was entirely up to the promoters. Next, I met Amitabh Bachchan, at a film launch in Chennai. Again, I told him that his Company could not last over six months the way they were going about it. For its office, the Company booked an entire three star kind of a hotel at Mumbai’s high end location, Juhu. Thus, spending from capital rather than earnings was the first wrong move. The problem with the Bachchan enterprise was that, nobody in his newly formed company knew what the filmmaking and film business was all about! A man who was an errand runner in a Video distribution company, was appointed an executive with ABCL; wearing a blazer completed his transformation, can you beat it! When you called to talk to a particular official, he was inevitably in a meeting. His secretary would pick up the phone and ask if she could help me. And, I would say, what your executive is doing there if you can attend to my query! It was funny and bizarre! Bachchan himself had no experience of film production or marketing. That is fine, but those appointed knew nothing about the business either. The idea is to talk about the CEOs appointed by such companies. Amitabh Bachchan Corporation was headed by a gentleman called Sanjiv Gupta. He was a marketing man, alright. But, film marketing is an entirely different ball game. And, there was no one from the film industry experience to initiate Gupta into the business. The Company sunk within a couple of years and on the verge of bankruptcy. Mr Gupta next headed to the Coca Cola Company in Delhi. Selling films is not the same as selling biscuits or colas. Most CEOs and executives, even today, come from some FMCG with no knowledge about film industry. Some learn on the job but that costs heavy to the company. 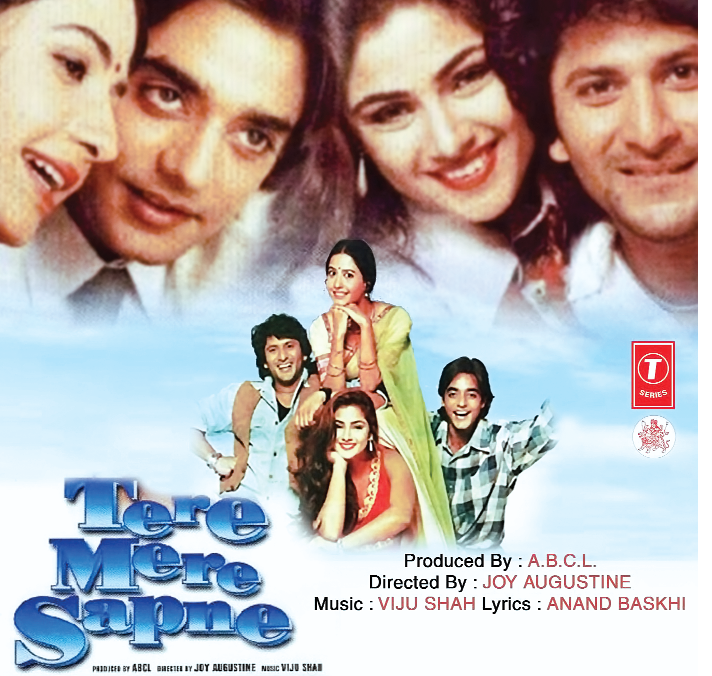 The Company had a good start with one of its initial films, Tere Mere Sapne, an ‘inspiration’ from the Hollywood film, Trading Places. After annulment and dodging bankruptcy, the Company kept making joint ventures and otherwise too, got involved in some regional films. Then there is the example of Reliance Big Pictures. First mistake such companies like these made was that they did not believe in creating real estate assets and preferred to rent premises. That was a concurrent outgoing. These companies were overstaffed and overpaid. Such companies would soon start to eat into their own resources. No film made that kind of money to pay high rentals and salaries. Quite a many big named corporate houses were drawn to the film industry. These included the house of Tata, Birla, Religare, Biyani etc. It did not take them long to realise that this was not the business for them. They closed shop soon. Some still operate but on a very limited scale and usually in joint ventures with somebody who knew the creative side like Times Group’s Junglee Pictures does. Warner Brothers India and Universal Pictures announced plans to enter Hindi film production but nothing has come out of it so far. Disney India has stopped its Hindi film operations totally. The three studio still active in Hindi films are Fox Star Studios which prefers to back mainly big label commercial film. Sony Pictures is more into content driven films while Viacom goes for both kind. The week saw two new films release in Andhadun and Love Yatri. # Andhadun earner massive appreciation and great reviews in media. Despite an indifferent opening response on Friday, the film showed a massive improvement on Saturday and Sunday. Having opened with a mere 2.4 crore on Friday, the film jumped by 100 per cent on Saturday with figures of about 5 crore and then 7 crore on Sunday. The film has been maintaining itself reasonably well Monday onwards and should close its opening week with a total of around 26 crore, which is good. But, come Friday, it has to contend with five new releases and that will also reduce its number of screens and the film may end up being just average despite all the appreciation. # Love Yatri, a launch vehicle for Salman Khan’s brother in law, Ayush Sharma, is based on Gujatarat’s favourite festival, the Navratras. The use of Gujarati folk music was a plus. However, the story was too familiar. In fact, it was almost similar to a Gujarati film, Kevi Rite Jaish, a film about a romance between a Gujarati boy and an NRI girl except for the Navratri background. Western India was supposed to be the film’s main market but lack of novelty robbed it of that advantage. The film opened low at little below 2 crore, while the improvement over the weekend was not much to help as it closed its opening weekend with 6.6 crore. The film could not sustain thereafter and may close its opening week with little over 10crore. n Sui Dhaaga—Made In India can be termed a semi hit. The film is expected to add 13.3crore in its second week for a two week tally of 74.3 crore.